Are you in the planning phase for your wedding? Planning your ultimate reception requires making some decisions on music. Some of our clients hire rocking live bands and others hire amazing djs. Both have their pros and cons. We love weddings, dancing, djs, bands, and our clients. 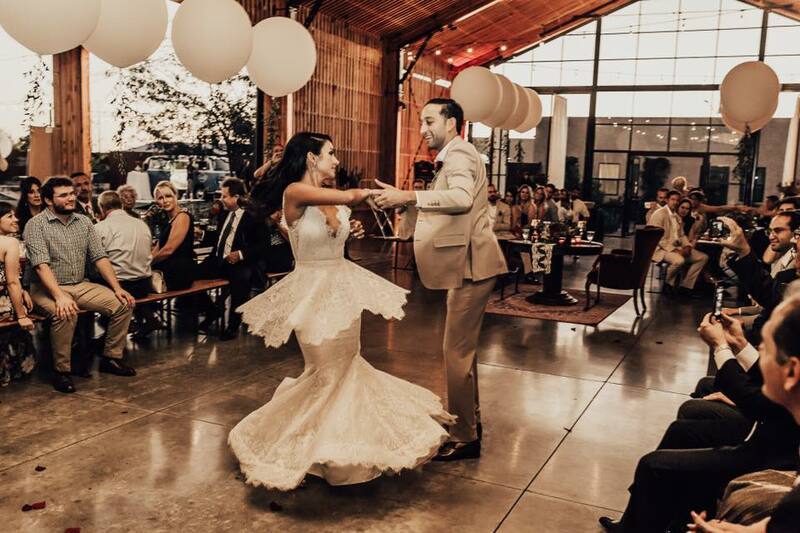 Check out these key tips from Windy City Wedding Dance professionals before you plan your reception. Let’s get this reception started early. Every wedding we’ve attended with live music has a very interactive guest list. As soon as the couple enters the room and turns the band loose, wedding guests storm the dance floor to celebrate the night with their best dance moves. The atmosphere is filled with excitement and fun. If you want people up and dancing at your wedding start interviewing bands early. Get a referral from a friend and make sure to go see them live. Check out how they interact with the crowd. Do you like the style of music? Keep in mind that live music normally comes with a large price tag. Some groups are larger than others and the less folks the less the costs. We recommend that you visit the venue and visualize where the band will set up. Be aware of the size of your dance floor. Plan for more dance floor space because the participation will be more than you expected. 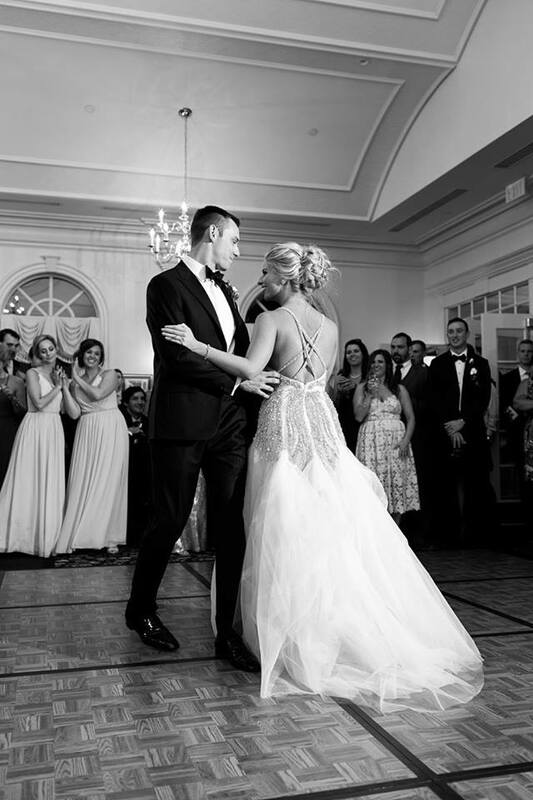 You have the option to dance to live music for your first dance. Just know that it’s always different when the live band plays your song. Have a conversation with your band and see if you can get a copy of their version of your wedding song. If you can’t, you should practice dancing to songs with different speeds. Normally the band’s version is faster. Learn how to dance with your partner. Don’t over choreograph your first dance when dancing to a live band. What if the instruments are different? Don’t rely solely on music cues. The MC’ing part is just as important as the music selection played by the DJ. If your DJ sounds like the teacher from Farris Bueller your guests may fall asleep before dinner is served. The voice of the DJ is important. Just like the band, get examples of work and try to get a referral. Take a look at their reviews and make sure you are hiring a professional. Trying to cut costs by hiring your friends kid brother could end up being a disaster. Typically a DJ will costs less than a 12 piece band, but make sure you are interviewing more than one DJ and getting a good one if you want your guests up on the dance floor. Is there enough speaker power to fill the room properly. Has your DJ worked at this venue? Will they be stopping by for a walk through? Is the equipment suitable for the space? I have now been to several weddings where the acoustics were not sufficient for the space and this could have been resolved with proper planning and equipment. As a result guests just talked over speeches and did not bother to pay attention to special moments of the reception. They couldn’t hear the speeches from their seats. You should be able to work hand in hand with your DJ to execute your first dance. We advise that clients don’t cut music but prepare a first dance and then dip at the end of the dance. The DJ can then slowly turn down the music or can be instructed to invite guests on to the dance floor. During our wedding dance consultation we ask our wedding clients a series of questions. The common answer among our clients is they want their guests to have fun. It means so much to them that their guests will be up dancing and celebrating all night. The night vanishes in a flash and they want you up out of your seats. You can accomplish these goals with both a live band or a dj just make sure you are interviewing your potential vendors carefully.